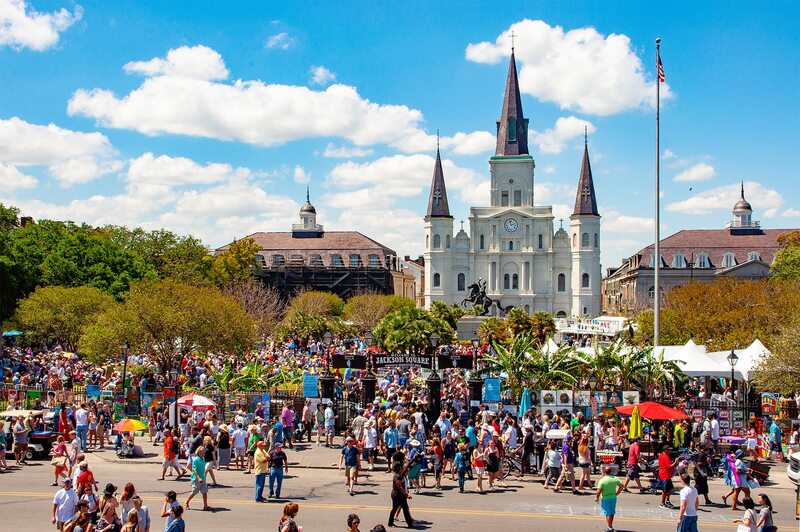 French Quarter Festival is April 11 – 14, 2019. Four days of FREE music from over 200 musicians on 20 stages. Did I mention the food? It’s fantastic. Go hungry. Crawfish & Goat Cheese Crepes, Slow Roasted Duck Po-Boy, Fried Boudin Bites, Oyster Rockefeller Po-Boy, Cracklin’ Nachos, Shrimp cooked a variety of ways and so much more. Get yourself a Hurricane or Daiquiri (those are alcoholic beverages) and dance your way around the French Quarter.